approx. 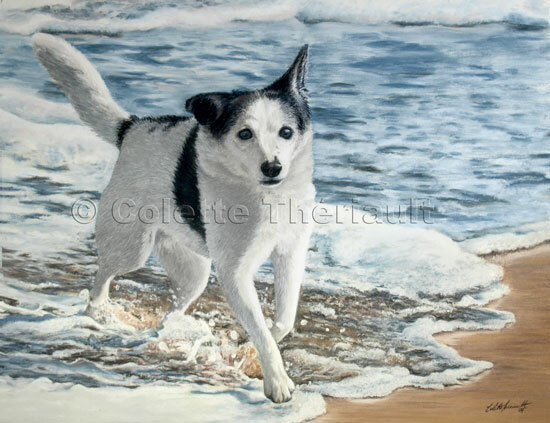 size: 14" x 18"
This painting was commissioned by clients in MD, USA to remember their mixed breed (Jack Russell?) dog CC. I was told that CC stood for "Close Call", testament to the fact that CC had been hit by a car when she was abandoned as a pup. Her broken leg was mended by a local veterinarian and when she was well enough, was adopted and lived with her masters to the ripe old age of 18.